One of the greatest movie directors of all time lived and worked in this London flat from 1926 to 1939. 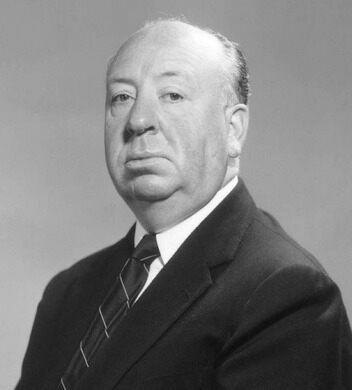 Famously known as the ‘Master of Suspense,’ Alfred Hitchcock was a renowned English film director and master of horror. His cinematic approach—known as the Hitchcockian style—would follow an actor’s gaze on film, giving viewers the sensation of being in the movie. The result paired with scary plot lines left audiences having heart palpitations, gripped by fear. A vast overgrown cemetery, once known as one of London's "Magnificent Seven." In 1926, in the throes of the Jazz Age, Hitchcock married screenwriter Alma Reville in South Kensington. After a romantic honeymoon in Paris, the newlyweds settled in a new flat at 153 Cromwell Road in Kensington. The couple leased the top two floors of the building with the top floor used as private bedrooms and the lower floor used for entertaining and lounging. In 1928, the Hitchcocks welcomed their daughter, Patricia, who was born in July. The trio lived at the Cromwell Road address well into the 1930s until they left for America in 1939. 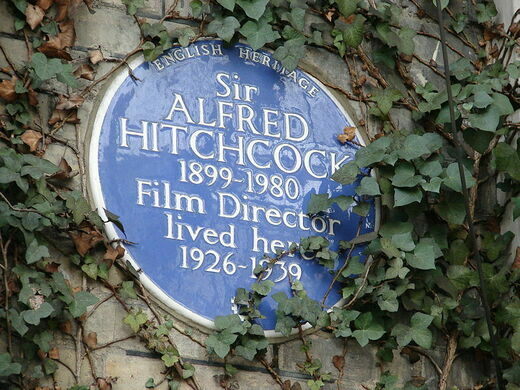 In 1999, Patricia returned to the London flat for the centenary of Alfred Hitchcock’s birthday, which was commemorated with a blue heritage plaque still visible on the property today. Once owned by the local council and used as space for asylum seekers and refugees, the former Hitchcock home is now a private residence that was sold for £799,000. Update January 2019: scaffolding currently covers the front of the property and obscures the plaque, though it is still visible. 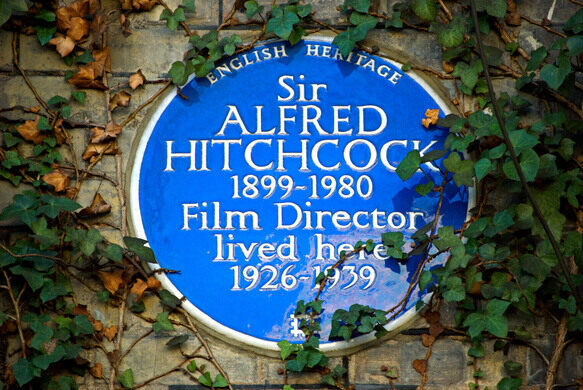 Alfred Hitchcock's former residence is a private home so while visitors can walk past 153 Cromwell Road, a visit inside the flat is not permitted. A makeshift shrine to the late rock star is still kept up on the nondescript façade outside 1 Logan Place. Home of one of history's most famous cartoonists just as he left it. Inside this clubhouse is a cinephile's paradise. Once a palace for the Archbishop of York, these 15th-century ruins now serve as a haunt for history buffs. A 13th-century inn where the ill-fated King Charles I spent his last night of freedom.